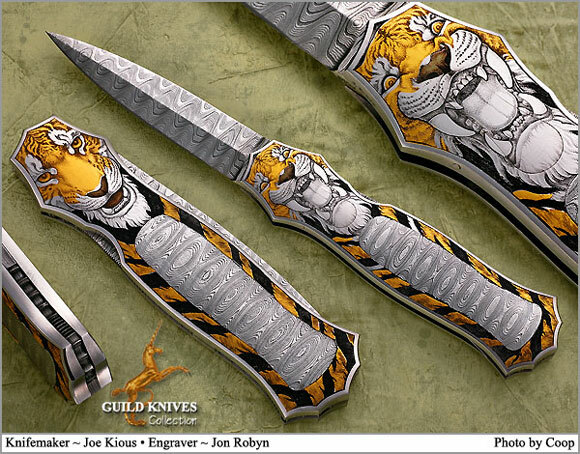 The Kious trapdoor auto is engraved and gold inlayed by Jon Robyn. The interframe inlays are of spirograph damascus by Eggerling, as is the blade. Filed backspine.